BD 43/25 C Bp 15154000 https://www.kaercher.com/hk/professional/floor-scrubbers-scrubber-dryers/scrubber-driers/walk-behind-scrubber-driers/bd-43-25-c-bp-15154000.html Battery-powered and economical: the BD 43/25 C scrubber drier with disc technology cleans up to 1700 m²/h. 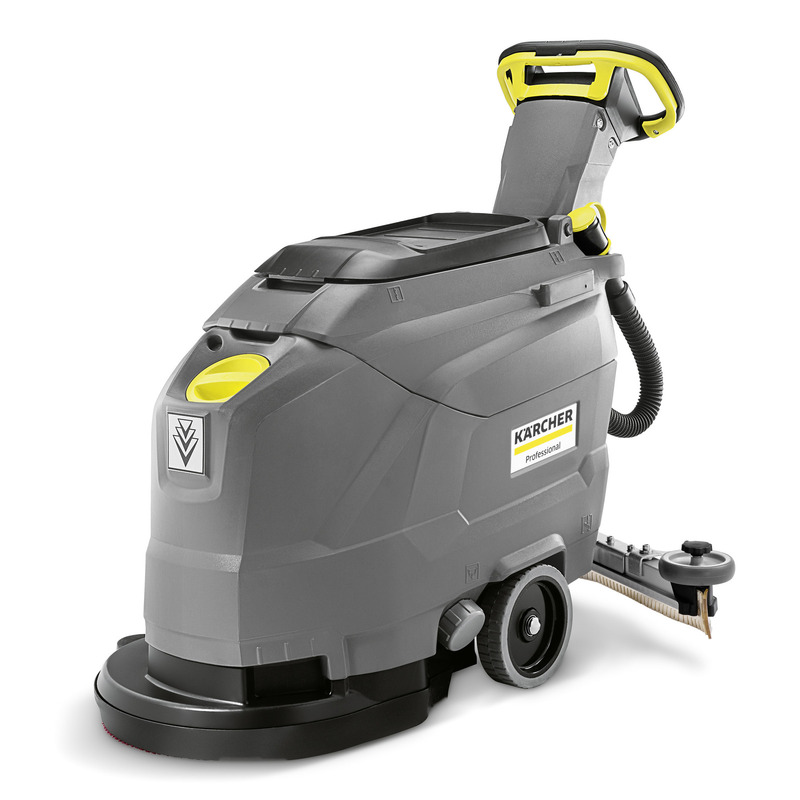 For basic and maintenance cleaning of areas up to 900 m². Self-explanatory symbols and clear control panel. Solenoid valve for automatic water cutout after the dead man's switch is released. Simple, yellow colour-coded control elements make the machine easy to use. Very manoeuvrable and easy to use. Clear view of surfaces to be cleaned. Allows optimum adjustment to the prevailing floor conditions.